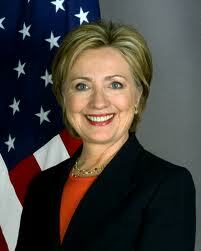 GORDONVILLE – Many of my liberal brethren are quickly lining up behind Hillary Rodham Clinton as their 2016 presidential candidate of choice, and they might be wondering why I have yet to join forces. After all, I was firmly in her corner during the primary season of 2008, only switching allegiance to Barack Obama after she waved the white flag and endorsed him. I have the columns from my past lifetime. Heck, I even have the lawn sign out in my garage to prove it. So why have you not seen me click “like” on pro-Hilary thread on Facebook, or pontificate on her behalf? It certainly has nothing to do with gender, as nothing has convinced moi in the intervening years that the best person for the job as the alleged leader of the free world can’t be a woman. She just turned 66 in October. The math shows that two terms, if elected in 2016, would put her at 77 by 2024. I had the same concerns about John McCain – until the point became moot when he picked at a scab when the sun doesn’t shine on his body and called it his running mate. But Americans are living longer, and should continue on that path with more humane health care. It also has zero to do with the irksome “Benghazi, Benghazi, Benghazi” battle cry of the right wing. Instead, it goes to a more fundamental core belief about this country and royal families. It is why Jeb Bush, even if he is competent, should be stricken from consideration. It is why I am only lukewarm on the Kennedy clan. It is why we fought the Revolutionary War, is it not? Foibles aside, I like Bill Clinton. While it isn’t saying much, he is probably the best president of my lifetime (1965-present). Hillary, for all intents and purposes, is cut from the same ideological cloth. But it is the same cloth with the same family crest. At least not until we see who else is out there, and we do the liberal thing – keep an open mind – and evaluate them on their merits and not be in awe of their last name. This entry was posted in Politics on December 2, 2013 by gordonglantz.